Home Apple iPhone Why Is There a Moon on My iPhone? Why Is There a Moon on My iPhone? There are a lot of different symbols and icons that populate the space at the top of your iPhone. That space is called the status bar, and it will display information about the settings that are enabled on the device. One of the icons that can appear there is a crescent moon. If you do not know why it is there, then that symbol can be rather confusing. 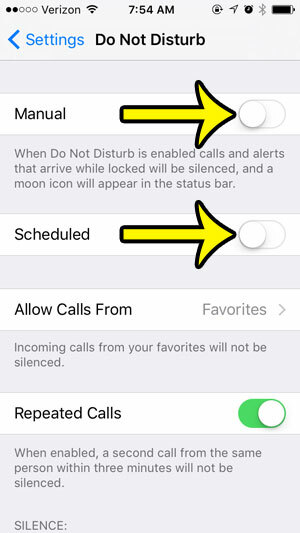 The moon icon at the top of your iPhone screen appears when your device is in Do Not Disturb mode. That crescent moon icon can appear somewhere else, too. 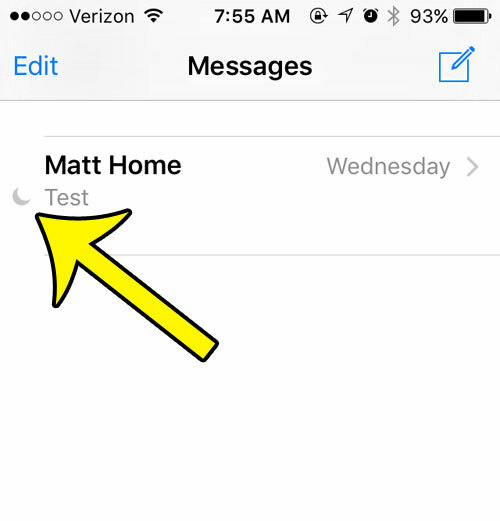 You may have noticed it in the Messages app, to the left of a conversation with one of your contacts. The crescent moon in a text message on your iPhone indicates that notifications for that conversation are currently muted. You will still receive those text messages, you just won’t get the notification sound, banner, or alert that you would get from a text message that is not muted. 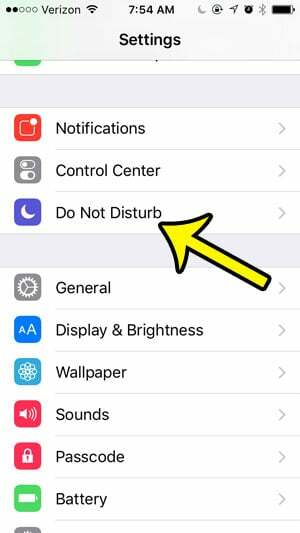 We will show you below how to enable and disable the Do Not Disturb feature on the iPhone, as well as where you can choose to mute or unmute text message notifications. Why Is There a Moon at the Top of My iPhone Screen? 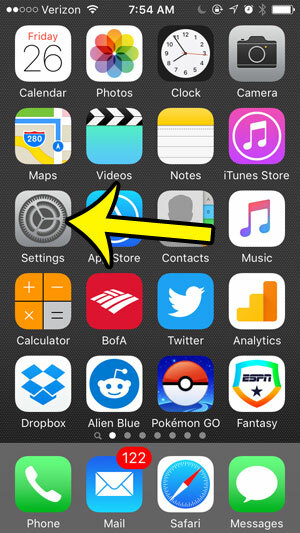 These steps will show you where to find the iPhone’s Do Not Disturb settings. Do Not Disturb can be in Manual or Scheduled mode. But regardless of which mode is currently activated, the moon icon still appears at the top of the screen. Step 3: Tap the button to the right of Manual to toggle it on or off. You can also repeat this step for the Scheduled option. The moon icon only appears at the top of the screen when the Manual Do Not Disturb mode is activated, or when the current time falls within the Scheduled Do Not Disturb period. Why Is There a Moon Next to a Text Message Conversation on My iPhone? 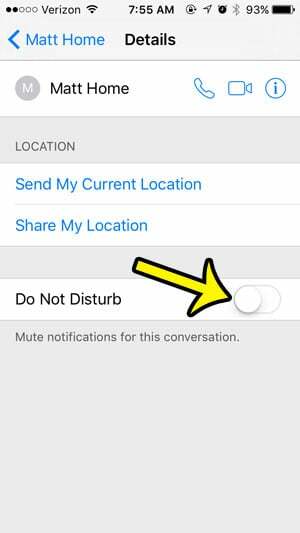 These steps will show you where to find the Do Not Disturb setting for a single text message conversation. You can control these notifications for any text message conversation on your iPhone, including iMessage, SMS, and group messages. 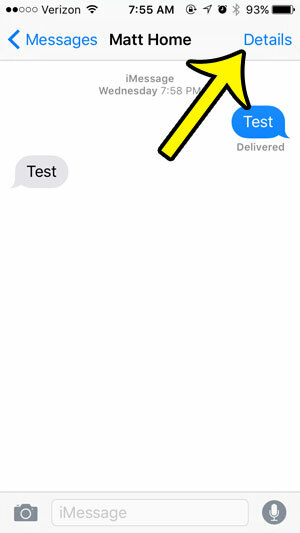 Step 2: Select the text message conversation that has a moon to the left of it. Step 3: Tap the Details button at the top-right corner of the screen. Step 4: Tap the button to the right of Do Not Disturb. If there is green shading around that button, then the crescent moon will be next to the text message conversation. Are you worried that someone can read parts of your text messages on your lock screen? Learn how to adjust the setting for these previews so that they stop appearing there.